British explorer James Cook first brought his vessel, the Endeavour, into this bay in the Marlborough Sounds, known to Māori as Meretoto, in January 1770. Cook named the bay Ship Cove and returned to it on four subsequent occasions in 1773, 1774 and 1777, mostly to rest his crews and refurbish and provision his ships. At the instigation of Robert McNab, minister of lands and a historian of late 18th and early 19th-century New Zealand, this monument commemorating Cook’s association with Ship Cove was erected, and inaugurated by the Governor, Lord Liverpool, on 11 February 1913. 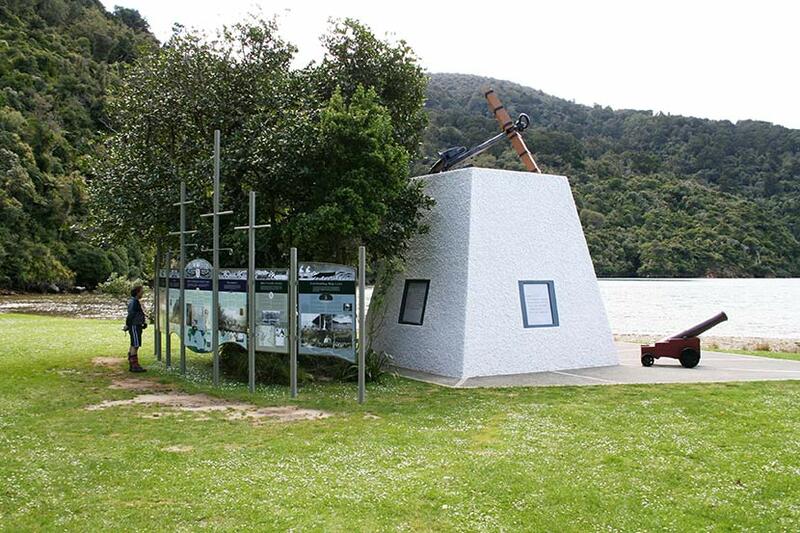 The interpretation panels were installed by the Department of Conservation and local iwi in November 2006.